There’s an incredible variety of horse breeds around the world, but the Jeju Island horse may be among the least known outside of its home. Jeju Island, off the southern tip of South Korea is one of the nine provinces that make up S.Korea, and it has had a long association with horses and horse breeding. Wild horses have existed from Paleolithic times onwards, but they were not spread all around the globe. Early man probably hunted them for meat just like any other animal. 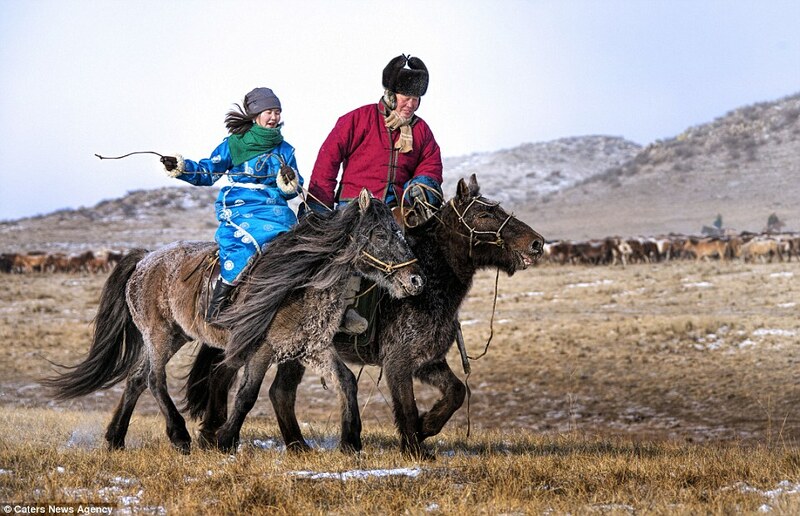 When man tamed the first horse no one knows, but through DNA analysis, archaeological remains and other methods it seems that domestication of the horse is likely to have occurred in Kazakhstan around 3,500 BCE. Examination of DNA shows that a small number of stallions were domesticated with a larger number of females over a longer time period. This can be posited by the reduced degree of genetic variation in modern male horses versus females. The first evidence of horses in S. Korea comes with horse themed objects in graves from around 1,000 BCE onwards. It seems likely from an examination of horse related objects that horses were brought to S. Korea from Central and North Asia as well as Han Dynasty China (206 BCE-220 CE) over the course of a few hundred years. (Finding a horse shaped belt buckle does not necessarily mean that domesticated horses were there, as horses have long held symbolic power.) The photo above is from the 5th century CE Muyongchong Tombs in the Korean Kingdom of Goguryeo, now situated in N. Korea. The first evidence of horses on Jeju island dates to the end of the Stone Age/beginning of the Bronze Age from horse teeth found in middens (trash dumps) in Gwakji-ri and Handeulgul Cave. Unfortunately teeth alone do not prove horses themselves were on the island. But at some point horses arrived on the island and thrived. Having been there for possibly 2,000 years Jeju horses are considered native to the island. Documents from the 11th century CE mention a gift to King Moonjong from Jeju of an “excellent steed”. During the 13th century Jeju was ruled by the Mongols and records show that 160 Mongolian horses were brought to the island as it was a perfect place to raise horses. There were numerous horse ranches on the island, both private and those run by the state. The Mongol horses no doubt were cross bred with the Jeju horses already there, which along with the geography and climate of the island created the Jeju horse we see today. 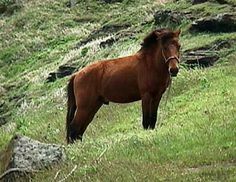 Jeju horses, sometimes called, Jorang horse, Jejuma, or Gwahama, are a small breed with a large head and thick neck. They are stocky with a rectangular-ish body. Stallions are in the 12 to 13 hand range with mares being slightly smaller. They have hard strong hooves and rarely need to be shod. They come in a wide range of colors each with a specific name, for example Jeokdama is a chestnut, and a Wallama a pinto. Markings are also used as sub identifiers. Once endangered by the move away from horse powered agriculture towards industrialization in the 1960’s, they were designated Natural Monument No 347 in 1986 in an effort to preserve the breed. 150 horses were classified as true to the breed and placed in a protected area. In 2000 a stockbreeding institute was appointed by the government to manage and set up a pedigree register for Jeju horses owned by island residents. The register now has over 2,000 entries and strict rules are enforced to keep the bloodlines pure. Tourism has gone a long way to help preserve the Jeju horse, however when you go horseback riding on the island you are far more likely to be riding a ‘Hallyu’ horse than a pure bred Jeju horse. The Hallyu is a cross breed that is better suited for tourists than the native breed. You might have noticed similarities between Jeju horses and Mongolian horses, or to Icelandic horses or even the Russian Yakut horse and that is because there are genetic links from Mongolian horses to breeds in Iceland, Scandinavia, and the British Isles, as well as to horses in Jeju and Japan. The theory for the spread into Europe is that Russian traders took them, or used them as pack animals, and they spread their DNA into native horse populations. 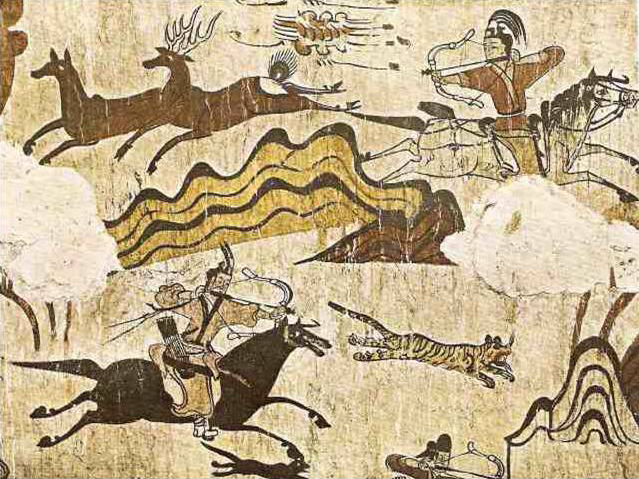 You may also enjoy Horseback Archery in Korea: A Korean Traditional Sport, Hwarang, The Flower Boys Of Silla, and Korea’s Greatest Hero. ← Kpop Idols Who Were Athletes First.